WASHINGTON/SACRAMENTO, Calif. (Reuters) - U.S. 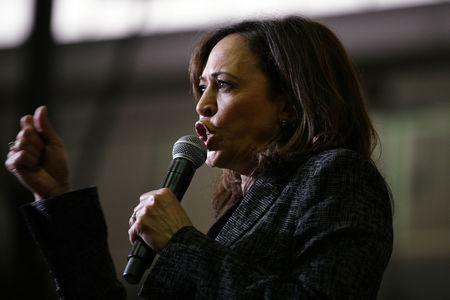 Senator Kamala Harris on Tuesday released a plan that would use federal money to raise teachers' salaries, in a nod to several constituencies whose help she will need to win next year's Democratic presidential nomination – teachers unions, women and black voters. 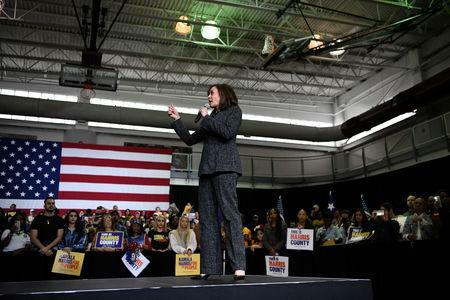 The proposal – Harris' first major policy rollout as a 2020 White House candidate – would invest $315 billion over 10 years to give the average teacher a $13,500 raise, or about a 23 percent salary increase, according to a Harris campaign aide. It would be financed by expanding an estate tax on the wealthy but the aide did not provide details. AFT President Randi Weingarten described Harris' plan as "bold" and called on other candidates to offer their own detailed proposals. Harris' campaign shared the proposal with labor leaders over the weekend, as she announced her intention to raise teacher pay at a campaign rally in Houston. "She actually understands that we have a real problem here," Weingarten told Reuters in an interview. "Parents are saying they don't want their kids to become teachers and teachers are selling their blood plasma to make ends meet." Harris' rollout comes after a wave of high-profile teachers strikes across the country that drew attention to stagnant teachers' salaries – including in Los Angeles and Oakland in Harris' home state of California, where her campaign aims for a strong showing. "Having the endorsement of a teachers' union is huge in California. They're trusted allies and trusted validators as far as voters are concerned," said Roger Salazar, a Democratic strategist in Sacramento, California, who has advised gubernatorial and congressional campaigns. As the strikes showed, teachers are a politically active group and their support for a candidate can "turn into a lot of doors knocked on and a lot of activity for you up and down the state," he added. California, the most populous U.S. state, moved up its 2020 primary to "Super Tuesday" in early March. It has about 500 of roughly 3,800 Democratic state delegates that will officially pick the eventual nominee at the Democratic National Convention. Harris' campaign cited data showing that in the women-dominated field of education, female teachers have lower average salaries than male teachers with the same education and experience. Black teachers likewise have lower average salaries than white teachers. 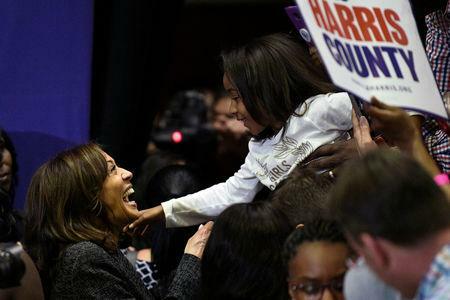 Harris' teacher pay proposal could resonate with Democratic primary voters beyond California. In South Carolina, which hosts the first primary in which black voters are a sizeable Democratic constituency, legislators are weighing a teacher pay increase. In Texas, which also votes on "Super Tuesday," the Republican governor has said low teacher pay is an emergency and called for raises.